The insect is of the family Zygaenidae. 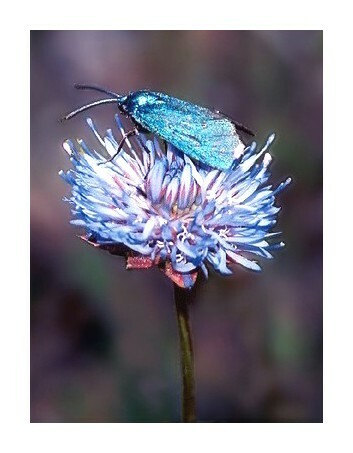 The flower is Jasonia montana. The flower is surprisingly good but I perceive the bug not so well. The bug not is expressive. Another excellent macro shot from you ! Very pleasant range of colours. A good photo!